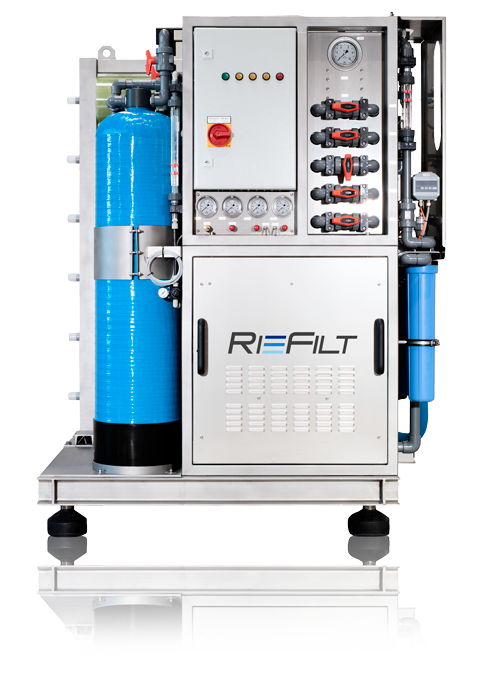 We are RieFilt GmbH, a young and dynamic company that has set itself the task of putting water in the focus. After all, water is one of our most precious economic assets worldwide. We want to provide sustainable water treatment technology adjusted precisely to your needs in order to find solutions for filtering various waters in the industrial and commercial areas together with you. remotely so that you do not have to neglect your other tasks. Do you need a customised reverse osmosis system? Are the default systems too small or not powerful enough for you? It’s not a problem at all! Compile your desired reverse osmosis system on our dedicated configurator with just a few clicks. Anything goes, from various materials to adjusted flow rates!